You’ve built technology that’s changing how work is done. 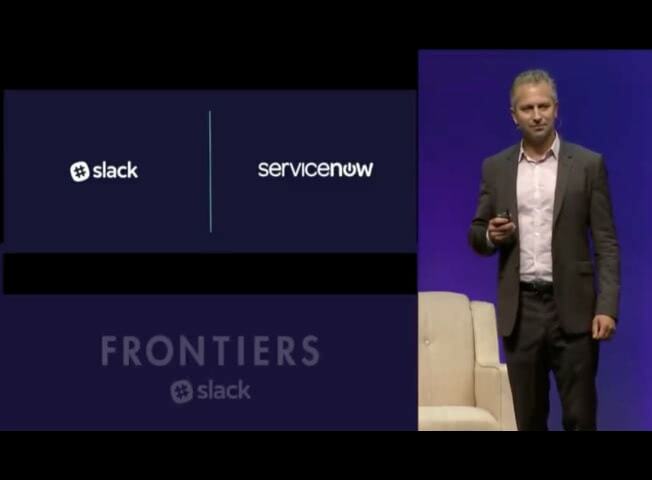 We’ve got millions of users who want to do their jobs more effectively. We’d love to work with you. 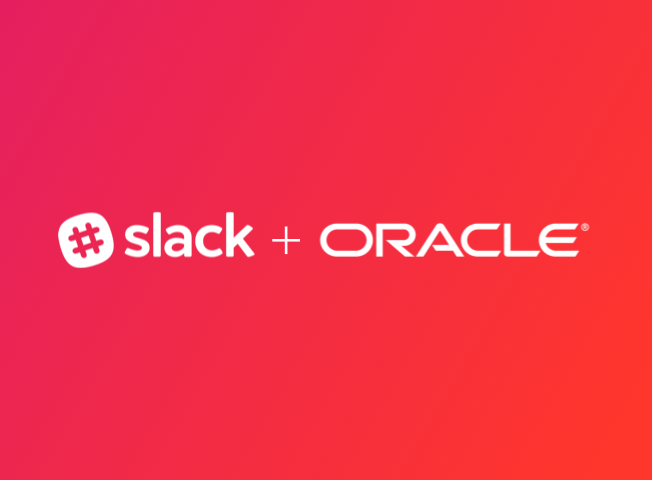 Partner with Slack so that we can shape the future of work, together. 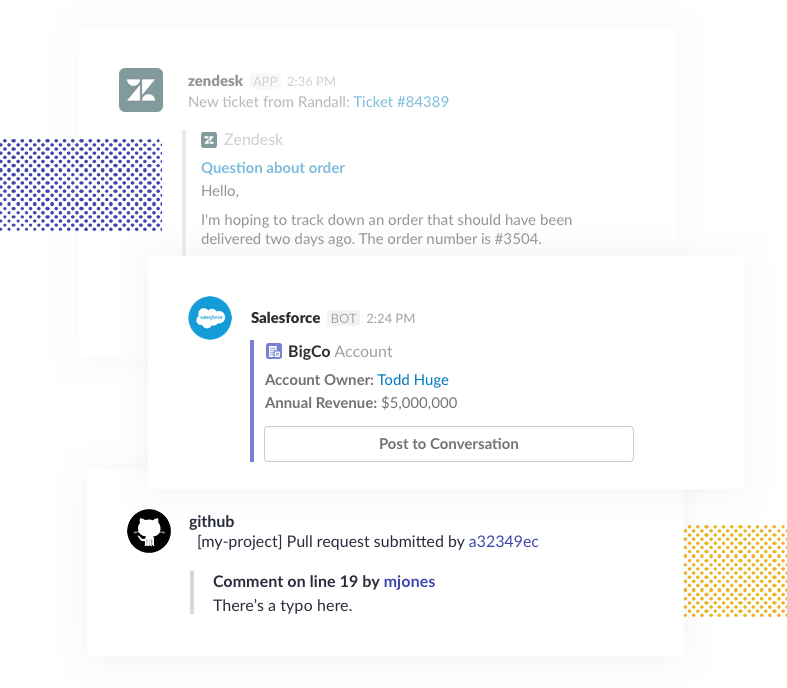 Slack is used by 70,000+ paid teams and 8 million Daily Active Users.As a partner, we'll work together to make their working lives simpler, more pleasant and more productive. 1000+ SaaS products have joined us to make people’s working lives simpler and more productive. Read more about our Terms & Conditions. 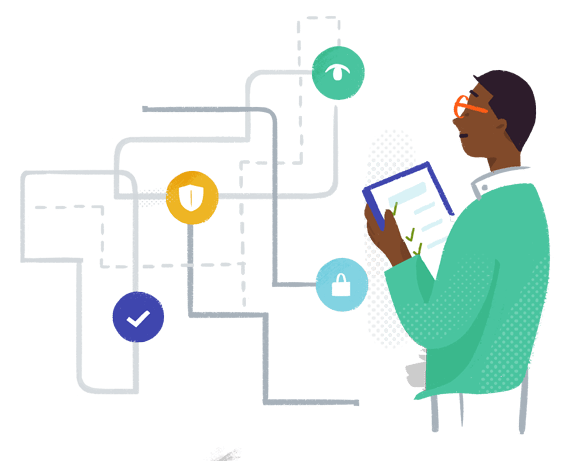 We've partnered with major security and compliance companies to meet our shared customers’ most important requirements. Learn more about Security at Slack. 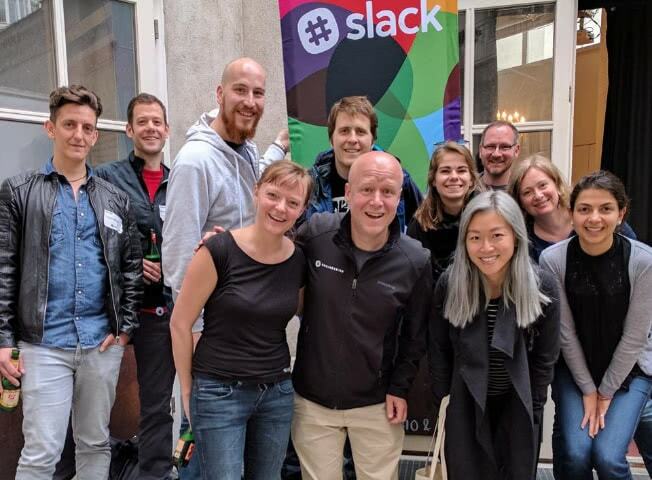 Get inspired by what leading partners are doing with Slack.